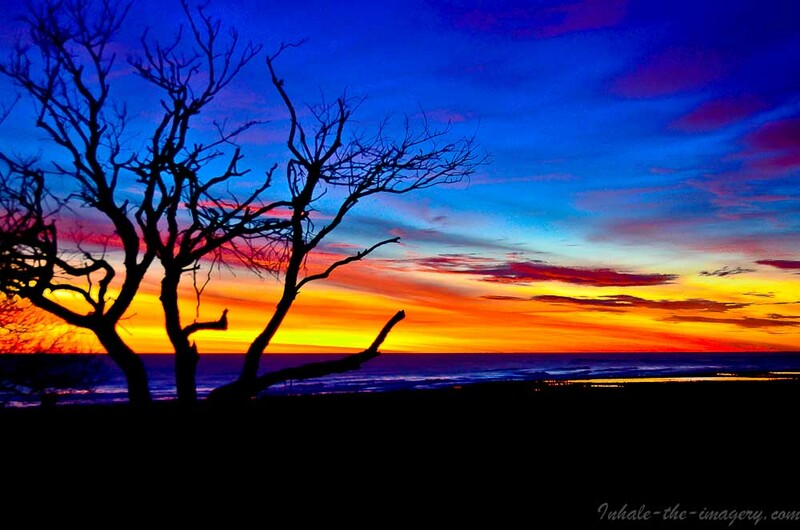 A great sunrise today, many photos to choose from .. great day to be Sunrisen’ it.. unbelievable colors).. The photo I finally decided to post for the Sunrise Project.. Is located on 3rd Cliff in Scituate.. There are a series of cliffs that rise out along the coastline (I believe there are 4) where there is high ground, a few hundred feet. 3rd Cliff in particular was where the initial settlers of Scituate from Kent, England, pre-1628, established their first plantation. I’m interested in finding the Kent Settler’s Cemetery here in the near future.. The photo is at the base of the 3rd cliff and was a tree that was silhouetted by a myriad of sunrise colors.. couldn’t resist setting the tripod, grabbing the coffee and sitting back for awhile.